The Scent Of Time reflects my continuous struggle to understand the insistent nature of nostalgia tinted by the history of exile and the knowledge of genocide. In my everyday life I attempt to combat the forgetting and my own trivialization of history that time and distance only exacerbate. I believe that the history in which we are implicated should be an ever-present force on our consciousness and personal choices. 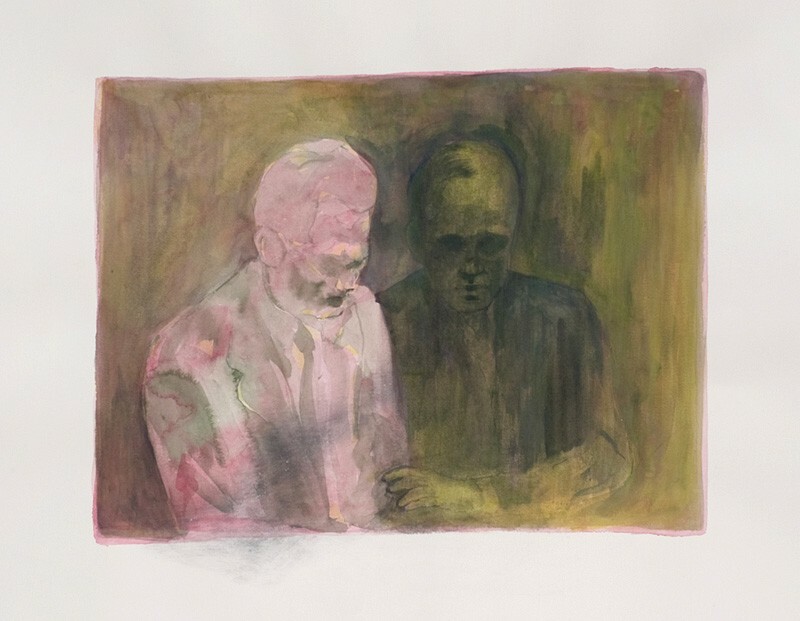 This body of work is aimed to clarify and reflect on that fundamental belief. 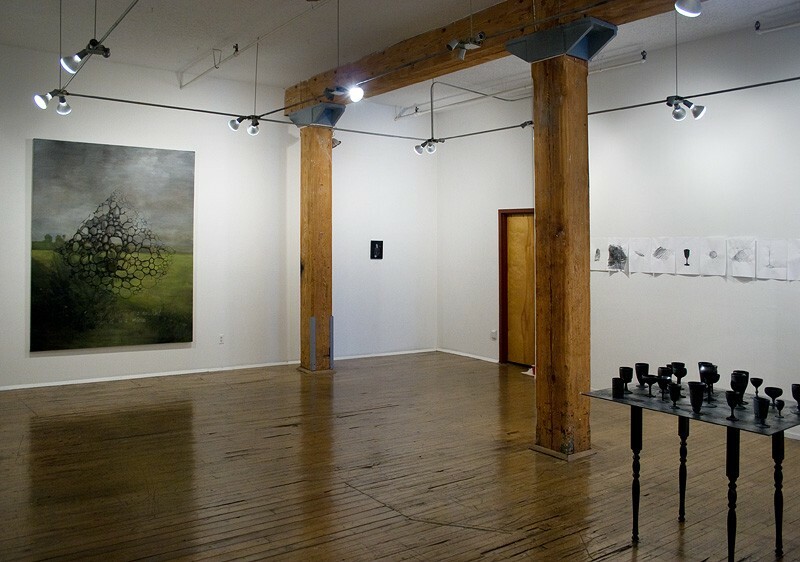 Scent Of Time, installation view. 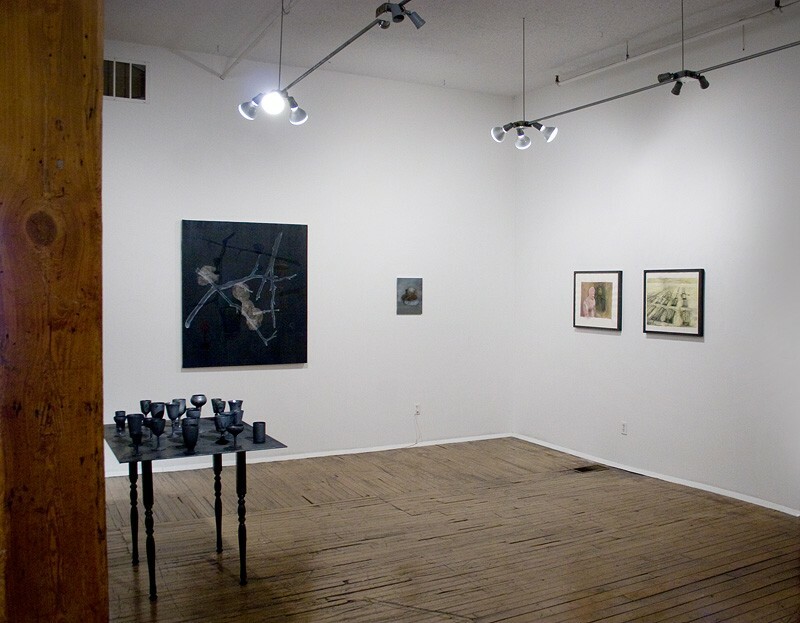 Kansas City Artists Coalition's Charno Gallery, Kanas City, Missouri. January, 2011. 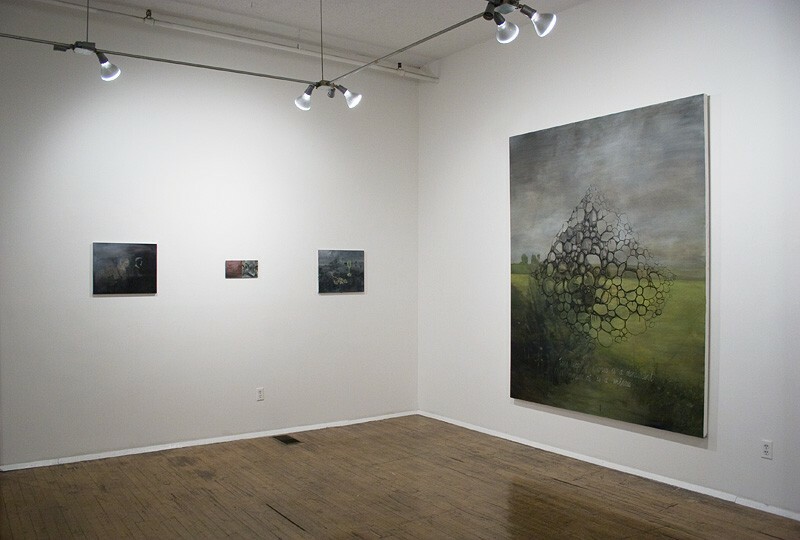 Scent Of Time, installation view. 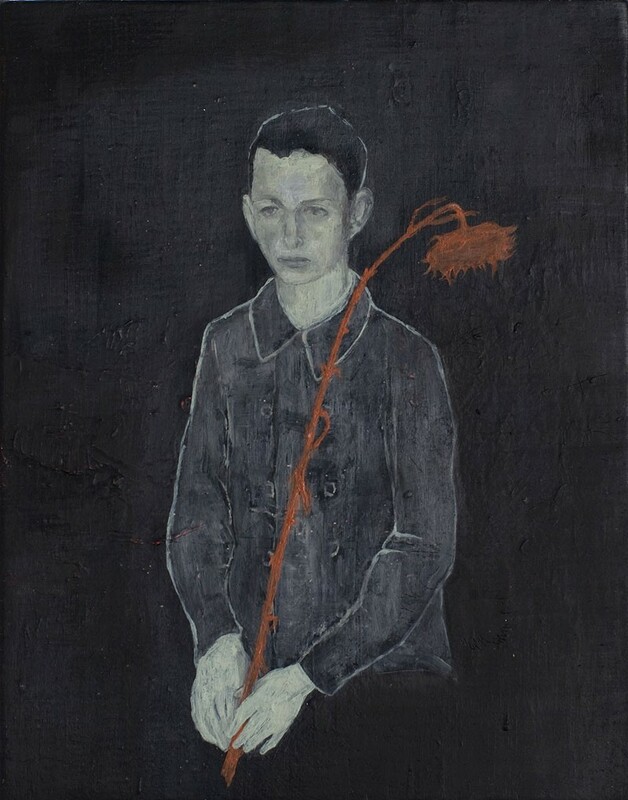 The Burden, oil, wax on linen, 2010. 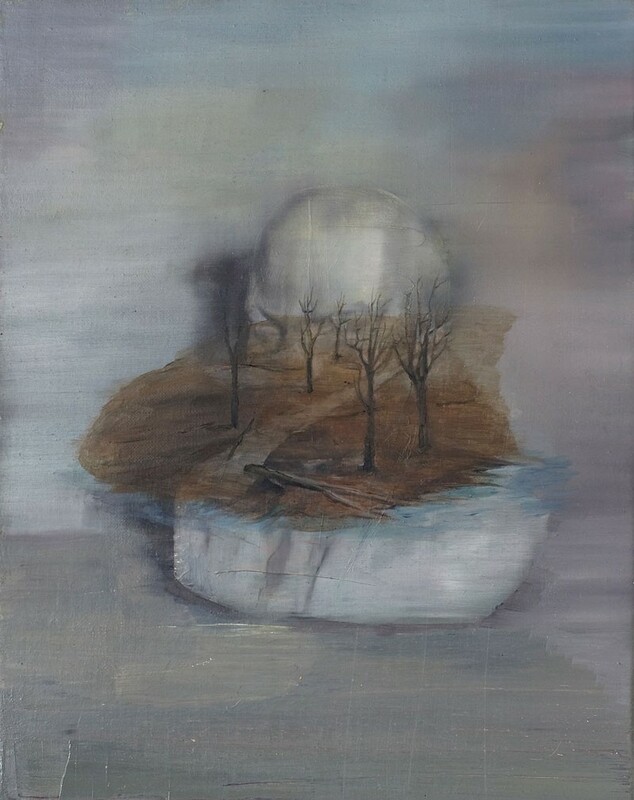 Winter, oil, wax on linen, 2010. 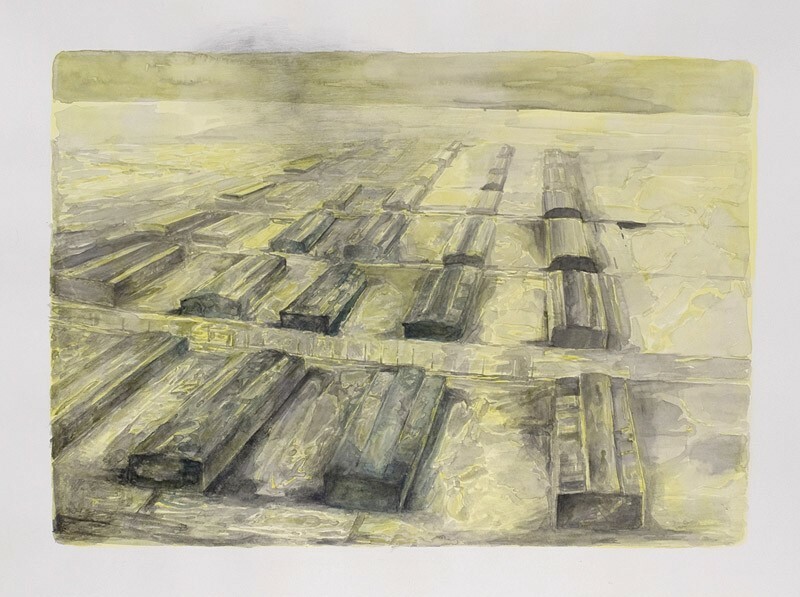 The Camp, watercolor and lead on paper, 2010. 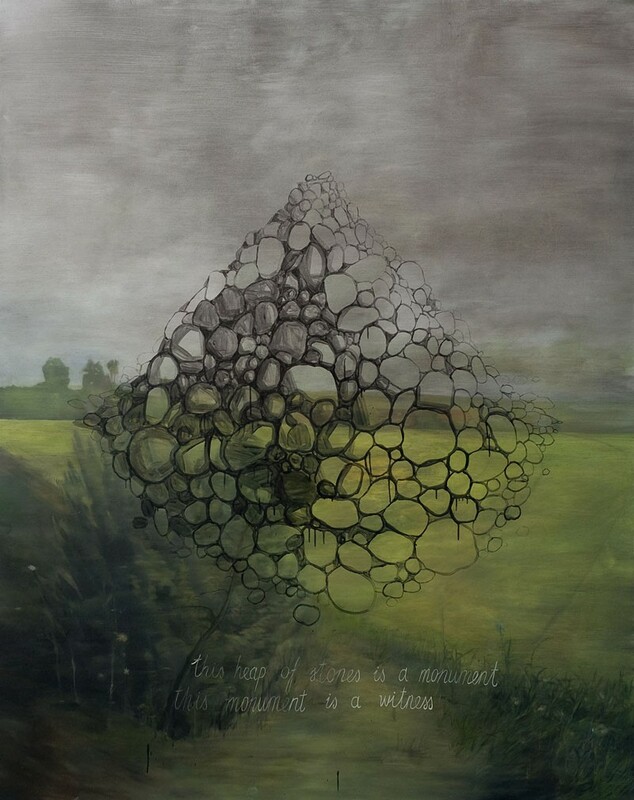 Untitled”, oil, wax on linen, 2010. 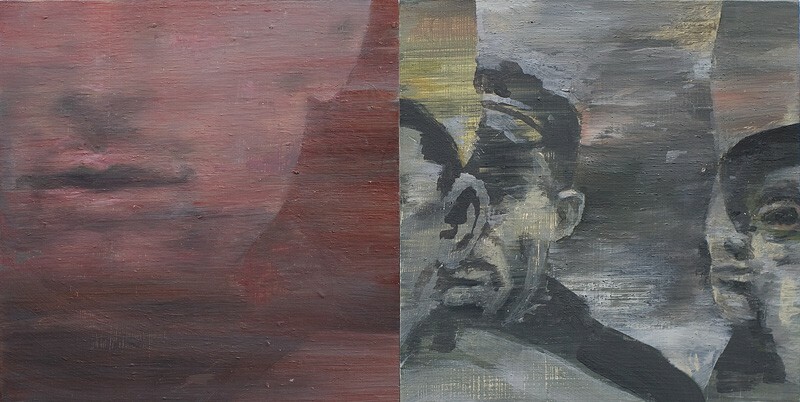 Unknown (diptych), oil, wax on panel, 2010. 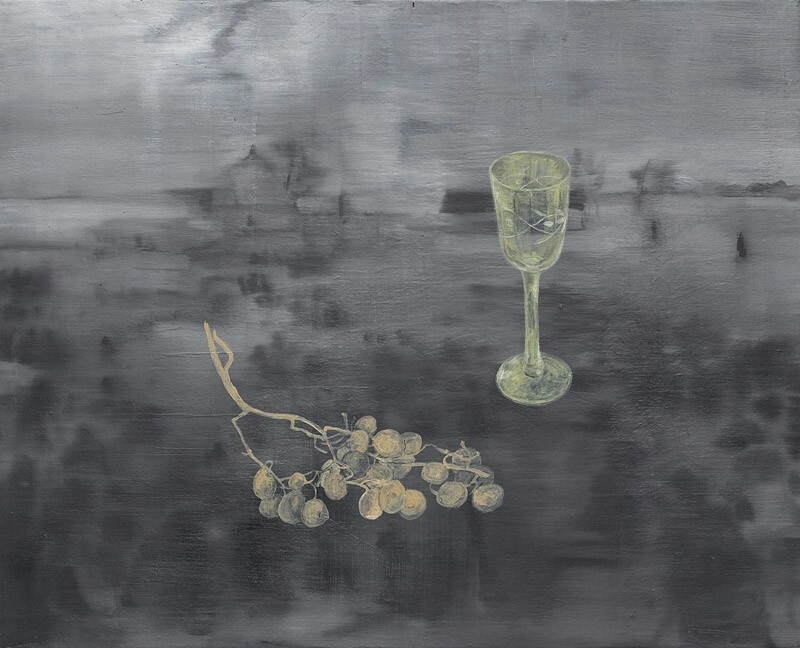 To Forget, oil, wax on linen, 2010. 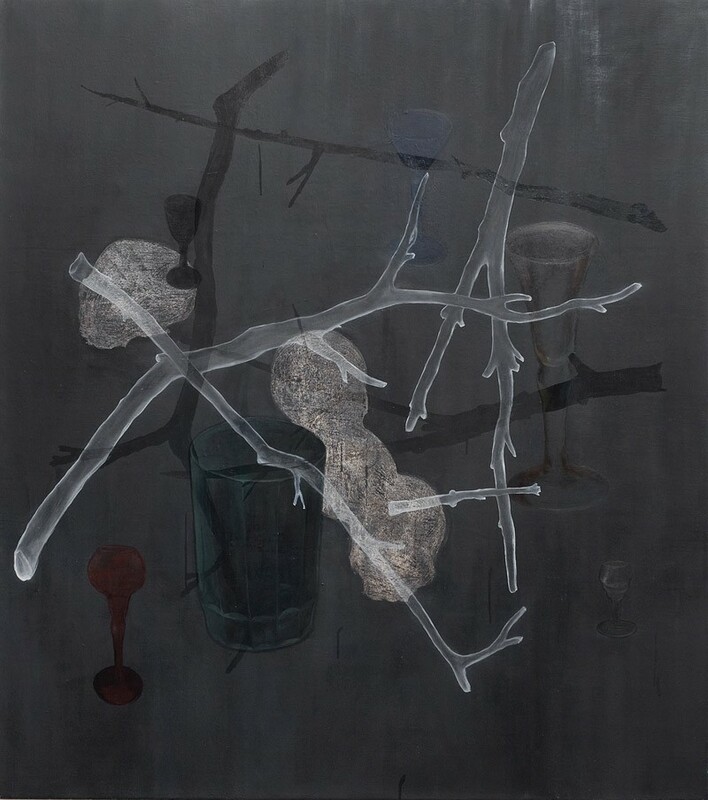 Branches and Traces, oil, wax, charcoal, shellac on canvas, 2010. 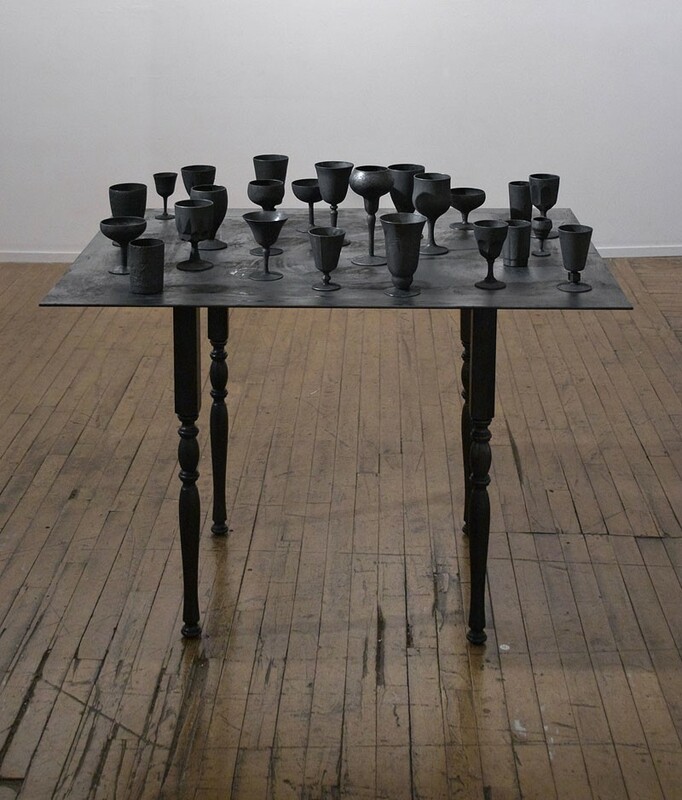 Reflection, found glassware, mirror, graphite, wood, shellac, 2010. 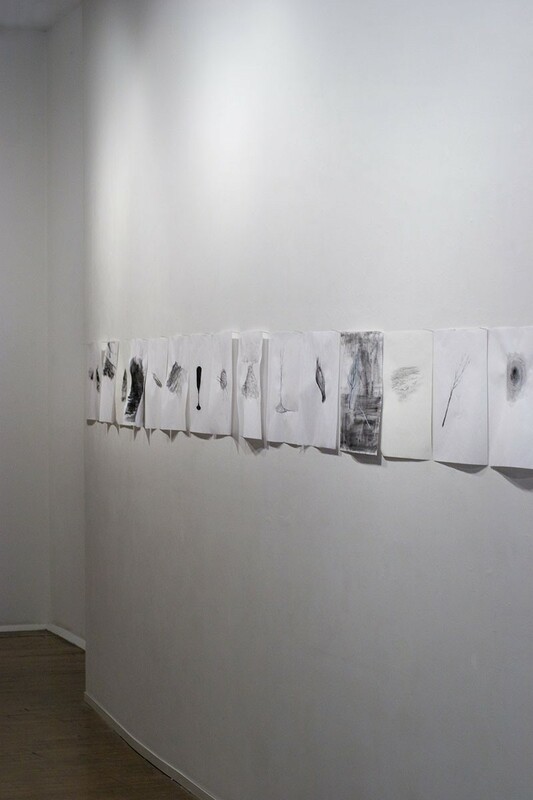 The Presence (wall installation of 22 drawings), charcoal and graphite on paper, 2010. 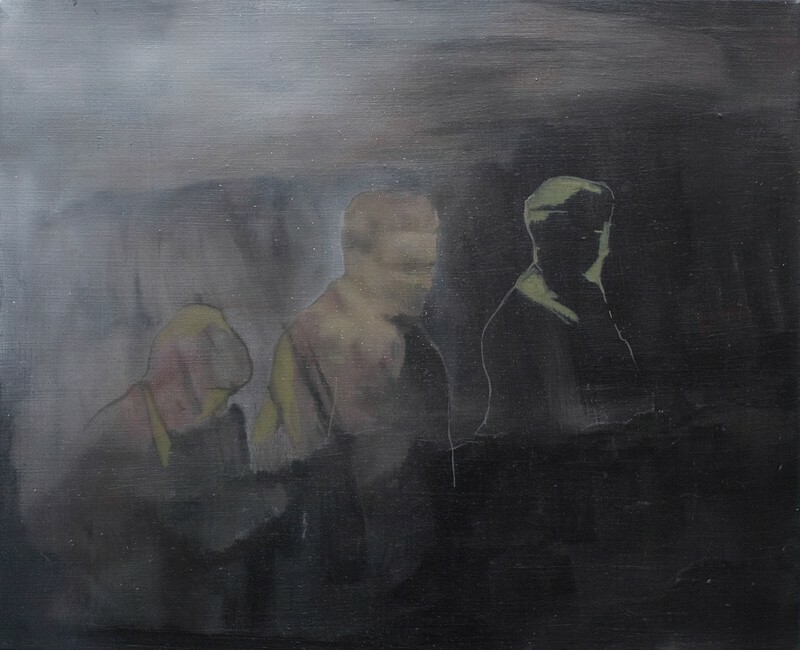 Absence, oil, wax, charcoal, shellac on canvas, 2010. Compassion, watercolor and lead on paper, 2010.